Historical, classical, and anthropological traditions in archaeology are all represented, as are more specialized approaches—such as ethnoarchaeology, experimental archaeology, and public archaeology—in the attempt to determine how the study of shipwrecks can inform and enlarge upon our general view of man’s relationship to his maritime environment. With the field in a period of transition, the appearance of this compendium is especially timely. 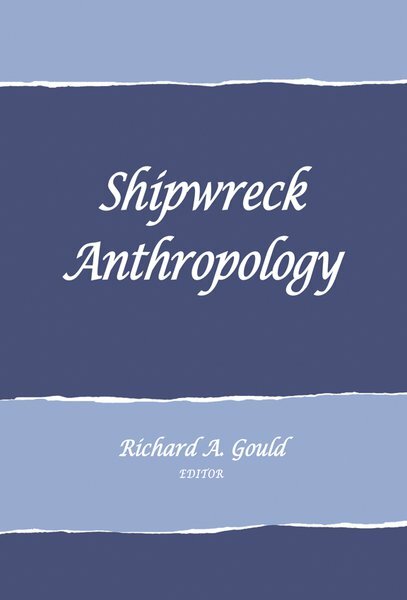 Important trends in shipwrecks as anthropological phenomena are identified and prime considerations for further work are laid out. While the old stereotype of the shipwreck archaeologist as a sport diver or a treasure hunter has been dispelled forever, all the contributors recognize the threat to future study that treasure hunters pose. As this volume shows, the wealth of anthropologically useful information that could be lost is enormous.